Imagine a helpful robot that analyzes your written communications. Now-- stop imagining, because I created this (physical!) bot that analyzes message tone using IBM Watson, “reading” the emotion of each posted message! 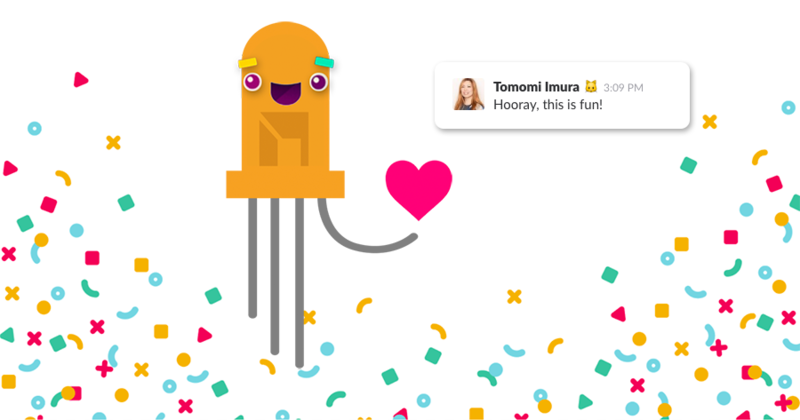 Slack Sentiment Analysis Bot from Tomomi Imura on Vimeo. First I’ll show you how to use the Events API to capture messages, send them to IBM Watson for analysis, and then post the result using chat.postMessage. Then I will present a totally optional but fun exercise! We will port our bot to a Raspberry Pi and reflect emotions using colors produced by an RGB LED. 🐙🐱 The source code is available on GitHub. This project uses Node.js, so make sure Node.js is installed on your machine. 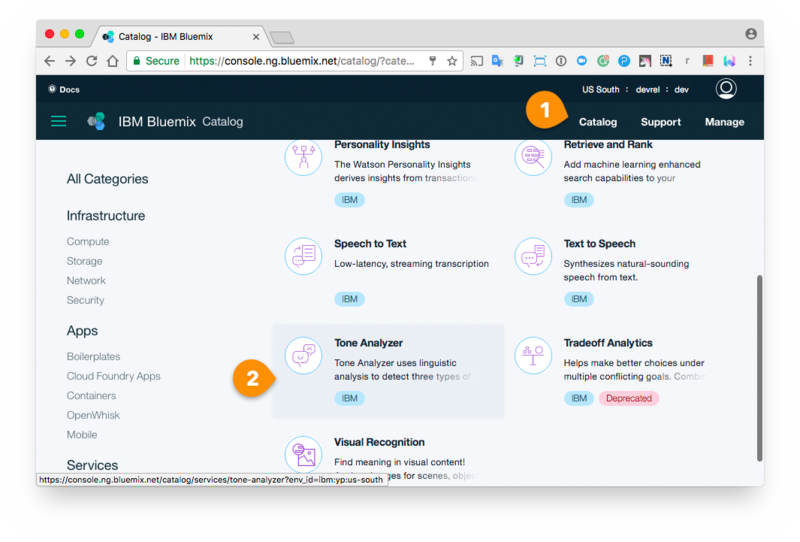 You’ll also need an IBM Bluemix account and add the Watson Tone Analyzer. Your service credentials will be required later. You need to install the latest Raspbian OS, connect to WiFi, and update and upgrade the system. See Raspberrypi.org for additional instruction. 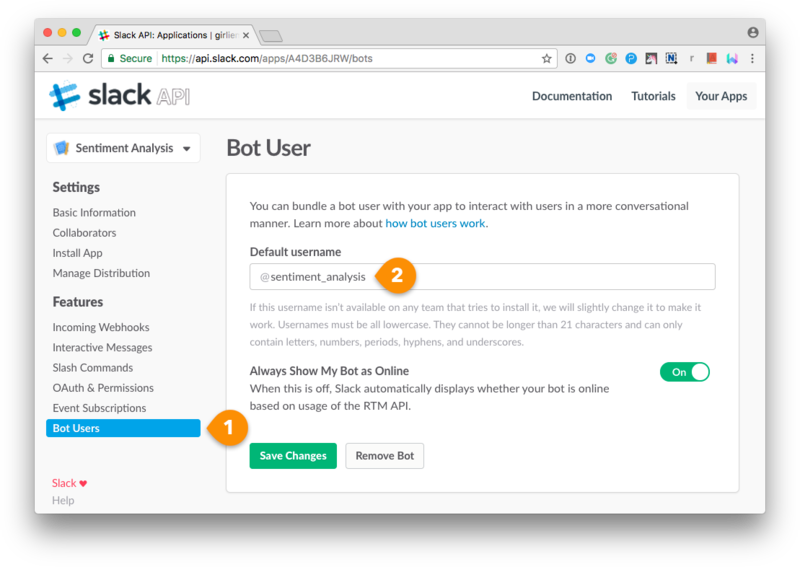 OK, let’s build a Slack bot that reads messages and analyzes for emotional content! Click Create App when finished. Next, you need to configure your App. 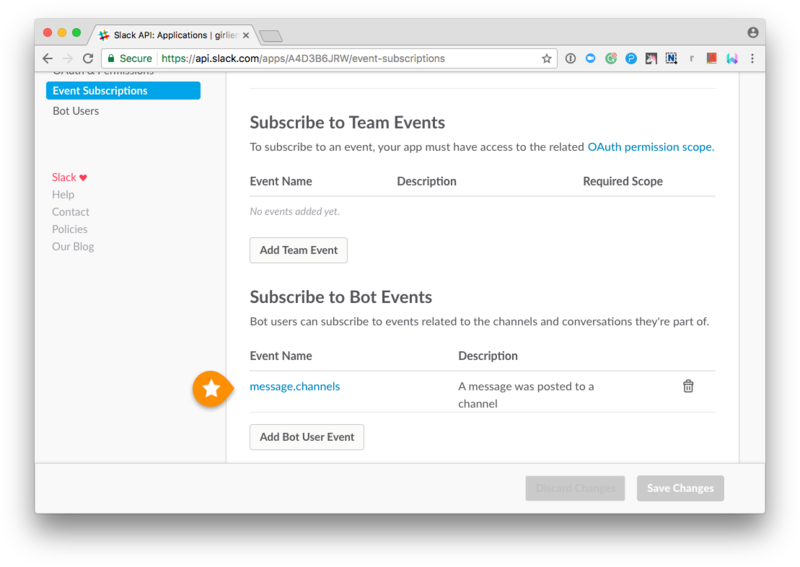 At Add features and functionality, enable “Bots”, “Event Subscription”, and “Permissions”. We will walk through them soon. Also, you will need your API credentials you can find at the App Credentials section when you code. 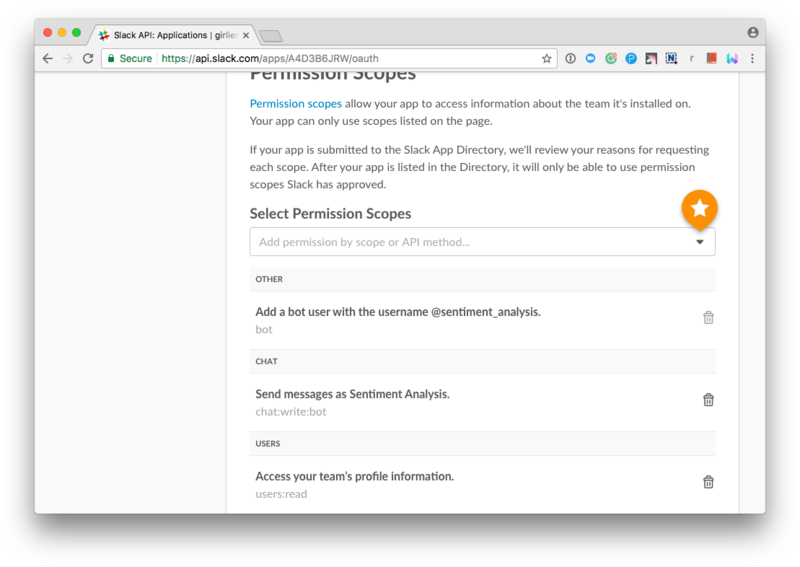 They identify your app to the Slack platform. Make sure to click the Save Changes every time you make a change in this configuration process. Click OAuth & Permissions from the left menu. To receive channel messages, we are going to use the Events API. 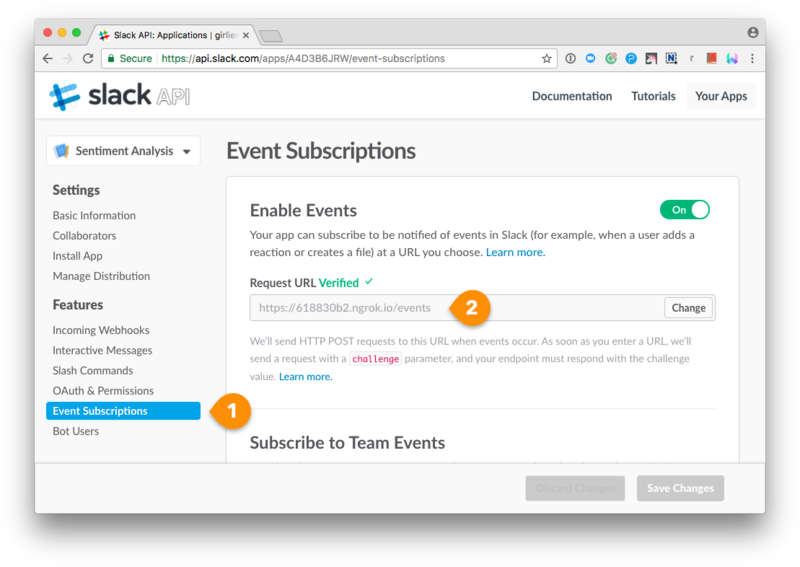 Click Event Subscriptions. You need to enable the feature by setting the Request URL, but let’s skip this for now. Next, you will need to write an webhook scaffold with Node.js, and come back to the page for the Request URL, and finish the rest of the App configuration. The Request URL used by the Events API is a kind of webhook, where the URL you provide will receive a HTTP request for each posted message. During the development, I am using a temporary URL from ngrok, which serves my localhost to a public URL. Download ngrok for your OS, unzip it, and install it by moving the file to the appropriate directory, for example, if you are using Mac, use the command, mv ngrok /usr/local/bin. You can learn more about ngrok at Using ngrok to develop locally for Slack. The ngrok tool generates a URL looking like http://618830b2.ngrok.io for your local server at localhost:5000. Copy the ngrok URL and paste it into the configuration setup, but not so fast! The URL must be validated, and in order to do that you’ll need to finally write some code. We will come back here later. Express is a simple, modular web framework for node.js. We’ll use it to quickly create our Request URL webhook receiver. Once finished installing these modules, create a index.js file, and instantiate the express server, listening on port 5000. Since you’ve set ngrok to localhost:5000, you must use the same port! Now, create HTTP POST route to handle the validation code. Let’s create an /event route. This will be triggered every time an event arrives, like the message.channels event we want from public Slack channels. When you enter the webhook URL on your configuration page, Slack will send a request with a challenge parameter, so your endpoint must respond with the challenge value to complete the handshake. Now, let’s run this node script. Let’s start coding your bot! Go back to your index.js file and at the /events POST route you defined, we’ll receive and handle the message payload. If you just want to run the code locally, you may hard-code your token here. There are multiple ways to set your environment variables, but I usually set a .env file to include the variables. In the source code, you can take a look at the .env-test file to see how it is set. Now, create a function, analyzeTone, which take the message text to be analyzed and some other info from the payload. 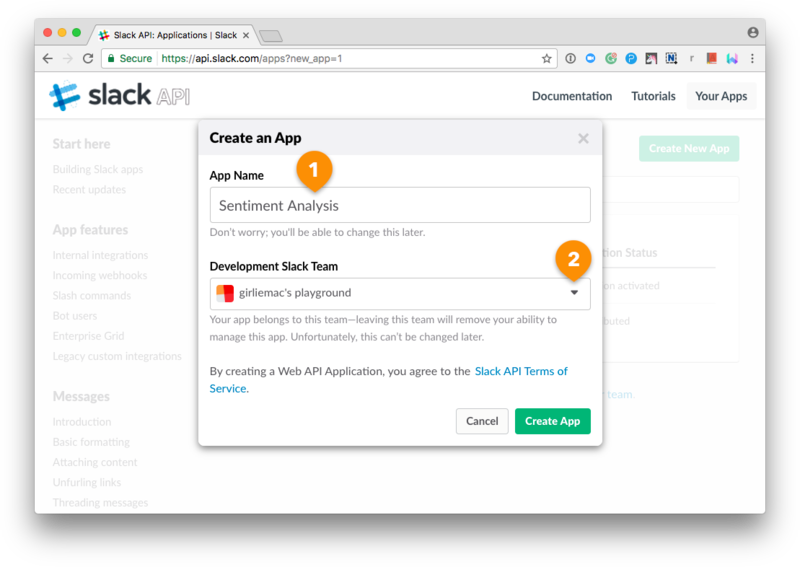 Now, let’s use IBM Watson for the sentiment analysis, so get your Service credentials from your IBM Bluemix account ready! 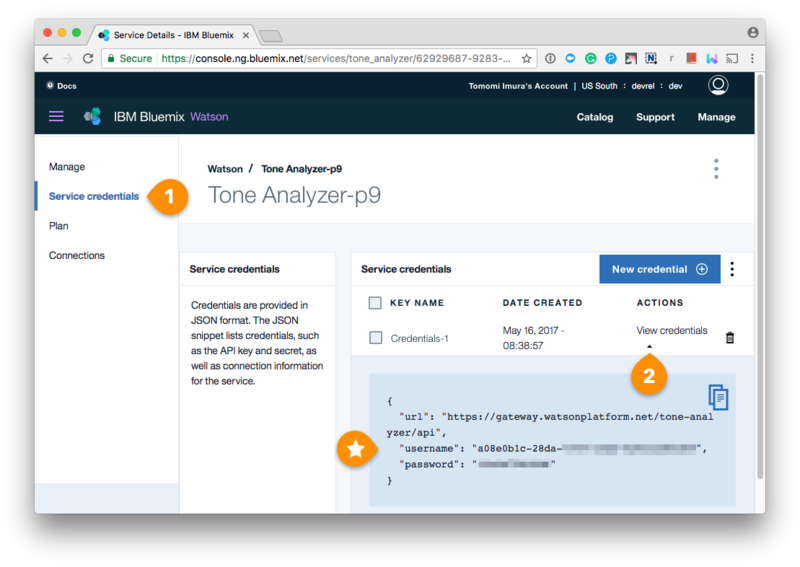 Go to your Bluemix console, and choose Tone Analyzer from the catalog under Watson. At the next screen, click Create. Once you activate the Tone Analyzer, (1) click the Service Credentials from the left menu, and you should be able to obtain your username and password for this specific service by (2) clicking the little triangle by “View credentials”. Watson can analyze a lot more from a given text, but for this project we are only using the emotion analysis. The results will be returned as a JSON that provides a hierarchical representation of the analysis. Each emotion has an index, so define the confidence threshold (let’s set it 0.55 for now. You can adjust it later!) and use only the emotion the exceeded the threshold value! Learn more about the watson-developer-cloud module on the GitHub repo. Now, let’s create a postEmotion function and post the result back on the Slack channel! To post a message, use chat.postMessage API. This call requires values for the token, channel, and text. The token should come from an authentication of a user with the OAuth, however, during the development, use the token that begins with xoxb- that you can find at the OAuth & Permissions section. Yipee, your bot should be working now! Let’s run your node code. Add the “sentiment_analysis” bot to your Slack channel, and try posting some emotional messages! The code samples used here are simplified to fit in the tutorial, however, if you wish to include the teammates’ usernames in the result messages as seen in this screenshot, view the entire source code on the GitHub repo! You can end the project right here, or proceed this tutorial for more fun with hardware! 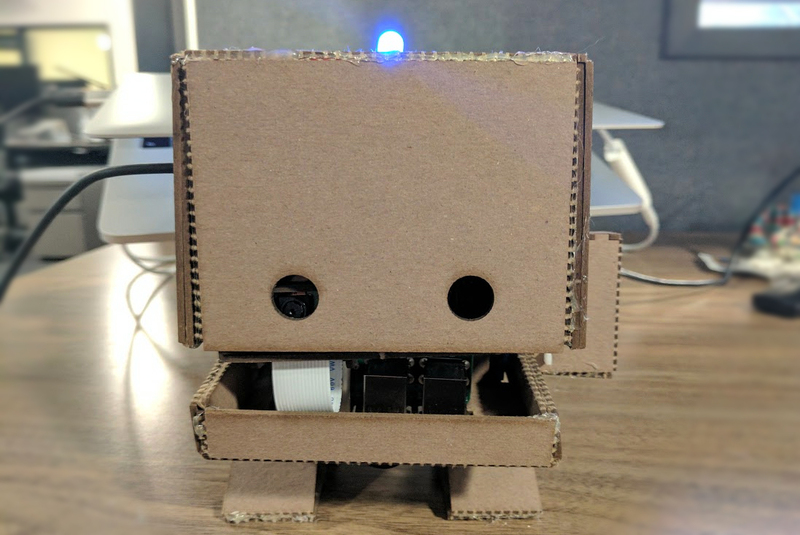 Making the bot into a physical bot with Raspberry Pi! More bots are more fun! Let’s port this code to Raspberry Pi to make it as a physical bot! You need to boot up your Pi with Raspbian, connect to Internet, and upgrade the system. If you are new to Raspberry Pi, I recommend to learn how to set up on RaspberryPi.org! 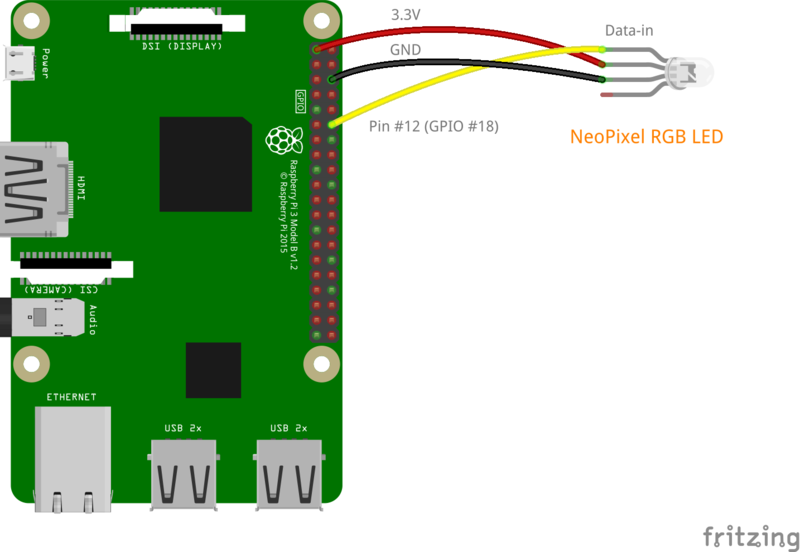 A nice thing about ngrok is that it supports ARM, so you can use in on a Raspberry Pi too! This gives you a new ngrok forwarding URL, so don’t forget to update the Request URL at the Event Subscription on your Slack App setting page! Try posting some message on Slack and see if it works. Now, let’s work on hardware! Now, call the colorEmotion function at where you are calling the postEmotion(). Run the Node code, type some message on Slack and see the LED lights up to match your feelings. Hooray!